Lugano (56,000 inhabitants) is the largest city in the Canton and the third financial centre in Switzerland. Other important towns in the region are Bellinzona, which is the region capital and it is also well known for its three medieval castles which are Unesco protected cultural sites, Locarno, Mendrisio and Chiasso. Lugano is located in the south of Switzerland and lies on Lake Lugano. The town's thriving economy provides an estimated 38,000 jobs, over a third of which are occupied by cross-border commuters. Business, tourism and finance constitute the backbone of the local economy. The city is Switzerland's third largest banking centre after Zurich and Geneva. Lugano is one of the most popular touristic destinations in Switzerland. Both Lake Lugano and the surrounding mountains provide a wide variety of outdoor activities. 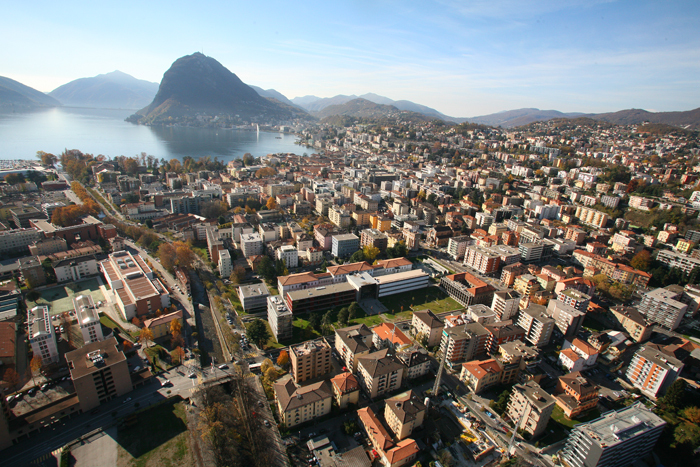 Lugano is also home to a number of historic buildings and museums, as well as the new LAC culture and arts center.